A synthetic-based grease designed to protect and stop wear, corrosion and galling in all types of semi-automatic and fully automatic firearms. 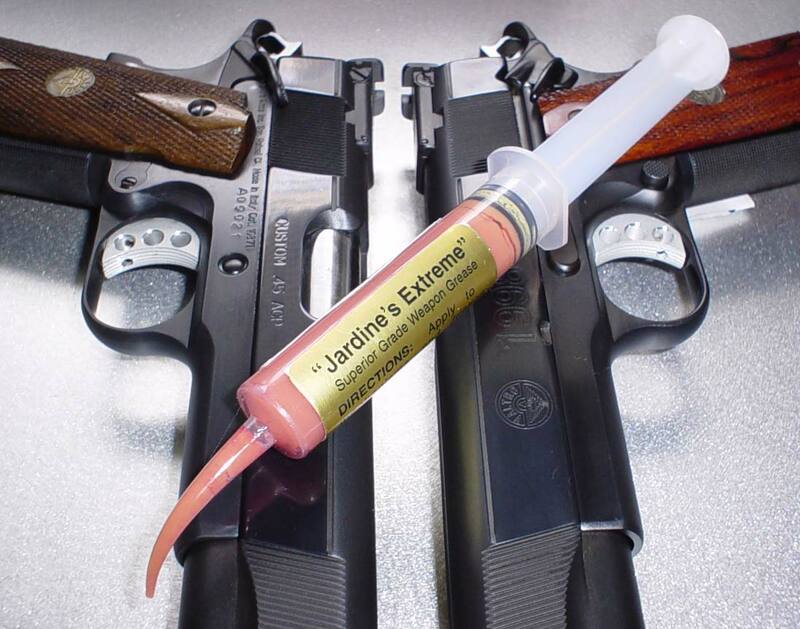 Jardine's Extreme will protect against corrosion and wear in plastic, aluminum, stainless and regular steel framed firearms. It has a wide operating range which allows for use in all types of climates. Jardine's Extreme is non-volatile and will not separate or drain off parts. Manufactured from a synthetic based fluid with a multi functional additive system using anti-scuff and dry film additives, this product will lubricate all types of materials at ultra low and high temperatures, wet, dry, or freezing. 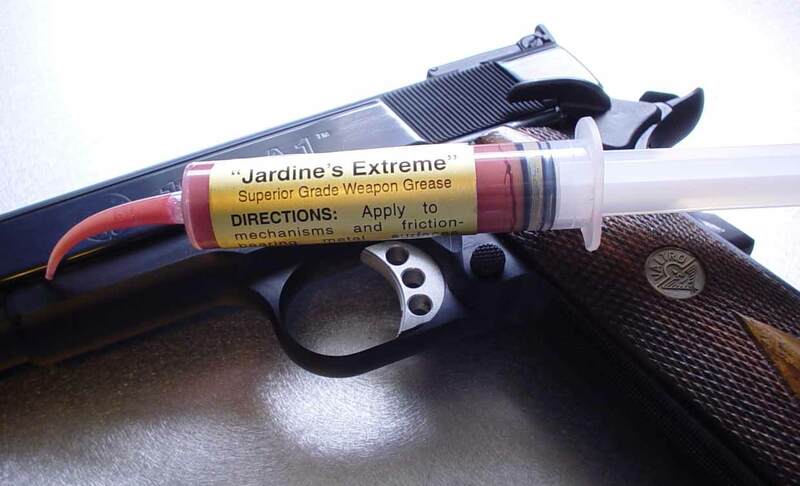 Most gun lubes are repacked industrial grease or oil not designed for the friction and wear regimes of modern semi and full auto systems. Designed from the ground up as the ideal firearm lubricant with the correct type and amount of high quality additives and delivered in low break-away torque grease to resist wear and scuffing commonly encountered with inferior lubes. Unlike repacked oils, this product will stop scuffing and adhesive wear in plastic, carbon steel, and stainless steel. Contains NO Ionization technology chemicals which contain chlorinated wax as the base that will breakdown with heat and release hydrochloric acid which will cause rust and corrosion.. Chlorinated wax also has bad low temperature properties and has no place in quality lube due to corrosion and staining concerns. Unlike other technologies, this product does NOT need burnishing, high temperature, pressure, or high speed loading to "activate" or "work into the microscopic pores of the metal". This allows use in areas that have low loads and slow sliding speeds while still giving excellent wear and anti-scuff protection. Available in 10CC syringe for ease of use in pin point applications. Please feel free to order directly!